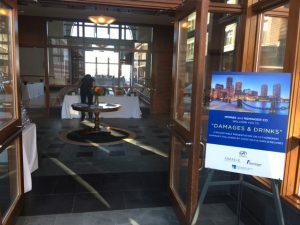 In October of 2016, MMM&K, in conjunction with Reminger Co., had the honor of hosting a roundtable discussion regarding catastrophic damages. 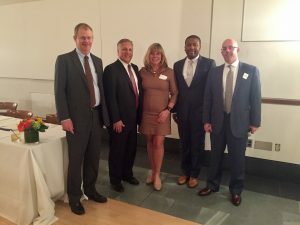 The panel was hosted by Jennifer Creedon, a partner at MMM&K, which included the following speakers: Paul McTague (MMM&K), Ted Mahoney (MMM&K), Raf McLaughlin (Reminger) and Julian Emerson (Reminger). Topics addressed by the panel, included but were not limited to, structured settlements; punitive damages; life expectancy matters; genetic testing; private investigators and consulting experts. This event was held in conjunction with the Defense Research Institute (DRI) Annual Meeting. DRI is the leading organization of defense attorneys and in-house counsel. Membership in DRI provides access to resources and tools for attorneys who strive to provide high-quality, balanced and excellent service to their clients and corporations.